How can I make the most of my therapy? 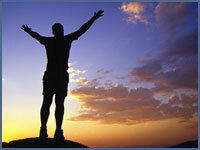 Success in therapy is directly related to your commitment and willingness to work. The more you put into it, the more you get out of it. Take an active role in negotiating goals with your therapist as well as the issues you want to covered in session. Ultimately, you are the boss. Therapy is yours. Therapists are here to help you do the work you have come in to do. A therapist cannot do the work for you and nor can they solve your problems. Therapists help you learn to solve your own problems effectively or to understand those things that are beyond your control. You and your therapist will work as a team, and your input will be sought every step of the way. Be sure to say something to your therapist if there is a problem, or if the therapist is not giving you what you want. If something is uncomfortable, awkward or not going the way you expected in therapy, tell your therapist. Discuss it before it creates problems in getting you what you need from therapy. Be honest. Otherwise, you are wasting your time, our time, and your money. Honesty is essential. Therapists are here to help, not to judge. Unfortunately, there is not definite answer. Some people respond to short-term therapy (six to ten sessions), but it depends on the problem they are trying to resolve and on their work outside the therapy sessions. Short-term therapy is typically most effective in acute situations (sudden, negative change or unexpected loss, environmentally caused stressors such as job or college stress). Short-term therapy helps clients learn effective coping mechanism to deal with novel stressors. However, when people have had their symptoms for a long time, long-term therapy may be necessary. It is important to understand that change does not just “happen.” Therapists do not have magic wands and cannot “cure” a person. Change begins when YOU begin to do things differently and this takes time and practice. Part of the time involved in therapy is gathering a thorough history that allows your therapist and you to understand accurately the foundation of an issue. Because therapy is only 50 minutes a week, it is intended to be helpful, but not the only answer. Successful clients work on issues in between sessions and practice at home what you learn in therapy. Some of the tasks that clients undertake outside of therapy include thinking or acting differently in certain situations, reading something, keeping a journal or going to a meeting. The more you work on this throughout the week, the more likely you will experience the change you seek. More importantly, clients who work outside of sessions often experience lasting change. They learn more effective coping strategies that endure in different stressful situations. When progress is made in therapy, it is important that you continue to work toward your goals. Without practice, it is easy to slip back into old patterns. Our goal is that our clients experience lifelong change and that takes regular practice to maintain. Sometimes therapy is like talking to a good, trusted advisor. It can often help you find solutions to a perplexing problem. Often clients say coming to therapy lifts a weight off their shoulders and gives them more energy and hope. It is important for clients to realize that sometimes things get worse before getting better. Ironically, often feeling worse initially, indicates progress. This happens because clients sometimes avoid problems by pushing them away or covering them up. To solve problems, the issues must be uncovered and this can initially cause sadness, anxiety or anger. However, as clients learn about themselves and process negative emotions (rather than avoiding them), they often experience improved mood. Learning effective coping strategies help make this positive change long lasting. So, in therapy you may experience a lot of different feelings because of the sensitive nature of what you are here to discuss. Don’t assume that unpleasant feelings mean therapy is not helping. On the contrary, this is normal, and helpful. In the end, you will feel good about tackling difficult concerns and making progress. Growth can be an exciting process. There will be genuinely good feelings of being in control, moving forward, and making healthy decisions for yourself, your relationship, and your family. We will not discuss information about your or your family with others without your consent, unless required by law (situations where the client is an imminent danger to themselves or others, or a child is being abused). Are parents responsible for their child’s problems? Also, parents and family members take on an integral role during the therapy process, as they are educated about what their child is learning in therapy and what steps they can take to help their child recover from their illness.